Join Florida Tesla Enthusiasts for lunch at the Brio Tuscan Grille at Waterside Shops in Naples. Each family will pay their food and drink bill individually at the restaurant. 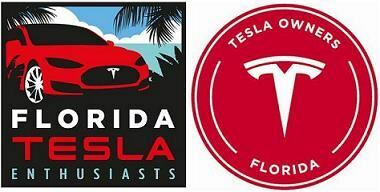 Join Florida Tesla Enthusiasts for a meet-up and lunch at the Brio Tuscan Grille at Waterside Shops in Naples to celebrate the opening of the new Tesla store nearby. The Tesla store management encourages us to drop by before or after our meet-up to chat with the staff. For those traveling a long distance the new Naples Supercharger at 499 Bayfront Place, Naples is operational even though it may not yet show up on the Tesla Find Us web page or on your navigation display. The Superchargers are 5 miles from this event. There are some Tesla Destination Chargers in the Naples area, but they require you to be a patron of the resort or restaurant. The chargers at the Naples store are reserved for the store's operations and should not be considered as Destination Chargers for the public. This event will be open to the public and we welcome other Tesla enthusiasts who are not yet members. It is free to register and reserve seats for this event. However, each family will settle their individual food and drink bills at the restaurant. If you are fairly sure that you can make it to this event, please register early to reserve your seats and assist us in event planning. Prior to the event I will provide you with an update regarding such things as the status of the Naples Superchargers. You can always cancel your reservation.